Successfully saved Quick Mixed Bean Salad to your Calendar. You can also save the ingredients to your Grocery List. 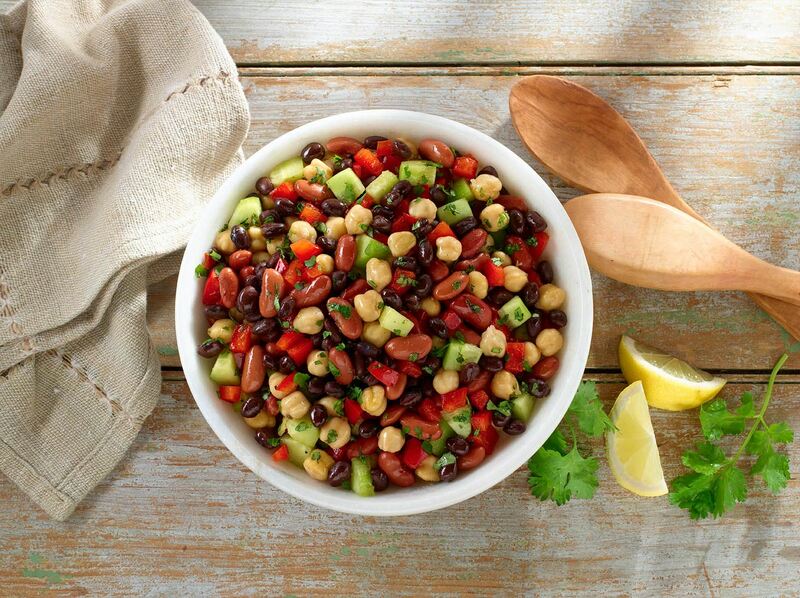 This luscious Quick Mixed Bean Salad recipe combines GOYA® Black Beans, GOYA® Chick Peas, and GOYA® Red Kidney Beans with crunchy fresh veggies, and a bright, lemony vinaigrette. Stick with our choice of beans, or mix and match with your family's favorites. Whichever you choose, you can be sure that this protein-packed, heart-healthy salad is just as nutritious as it is delicious!